James Chan: I found this 1889 map while looking through an archaelogical assessement of the MTR West Island line. 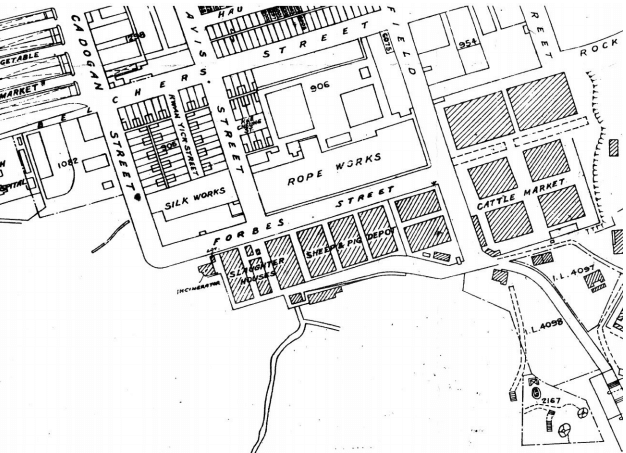 The map shows Kennedy Town. On it are a silk works betwen Cadogan and Davis Streets. And a rope works along Forbes Street between Davis Street and Smithfield. What does anyone know about either of these two works?